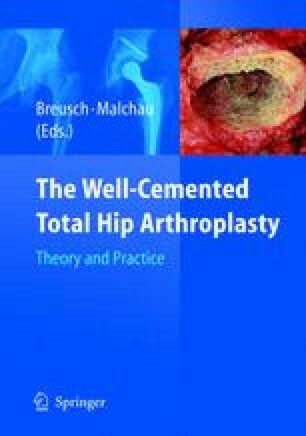 More than any other factor it is the surgeon’s operative performance which has the greatest influence on the long-term fate of a cemented total hip arthroplasty. Although most mistakes are forgiving, at least in the short term, the chances of success are compromised. In this chapter, the most common surgical errors and potential pitfalls, which can occur during the cementing process of stem and cup, are outlined.